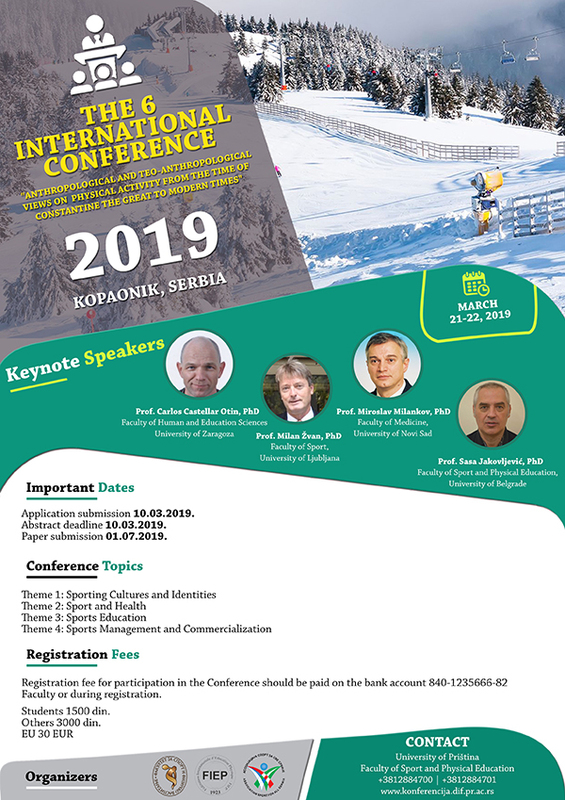 Fees – INTERNATIONAL CONFERENCE "ANTHROPOLOGICAL AND TEO-ANTHROPOLOGICAL VIEWS ON PHYSICAL ACTIVITY FROM THE TIME OF CONSTANTINE THE GREAT TO MODERN TIMES"
Registration fee for participation in the Conference should be paid on the bank account 840-1235666-82 Faculty or during registration. The fee includes: accreditation, working materials, welcome cocktail, gala dinner, presentation and refreshments during breaks. All the participants must show evidence of fee paymant at the registration desk!